Last year I completed my first freelance technical design job for Omaha designer, Daniel Munoz. I wanted to share some pictures and the process of the project. 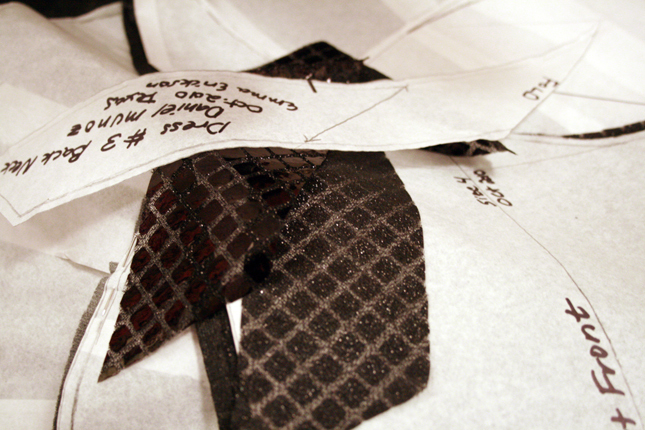 Technical design is the pattern-making and construction process that is done in order to bring a design to life. 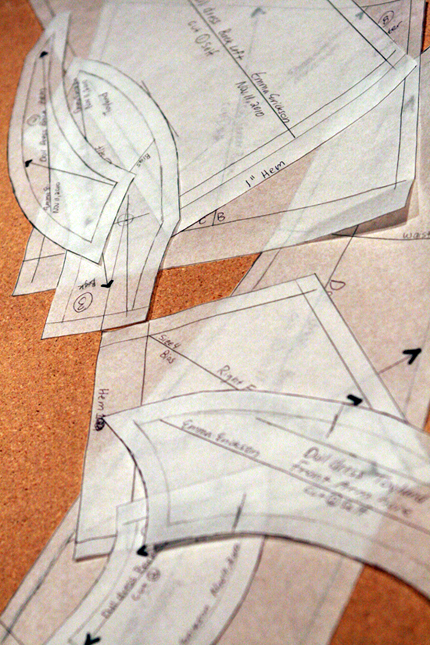 The design process starts with a sketch and then a pattern-maker or technical design team looks at the sketch and figures out how to best construct the garment. 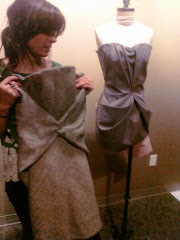 Often times this involves multiple toiles or samples to make sure the fit and proportion is how the designer wants it. 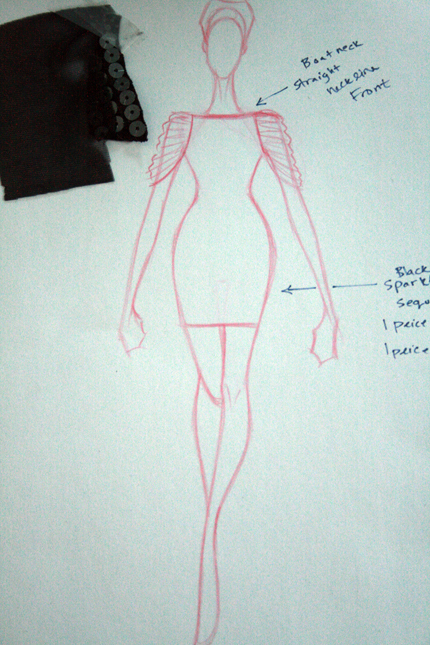 I don't have a technical designer, so I both design and problem solve the construction of my garments. This works for me, because I run a small operation. However, all design houses have a pattern-making and technical design team. This enables design teams to focus more of their energy on the garment design, fabric selection, color pallet, finishing details, and construction technique of the garment. This doesn't mean they are not active in the construction process. 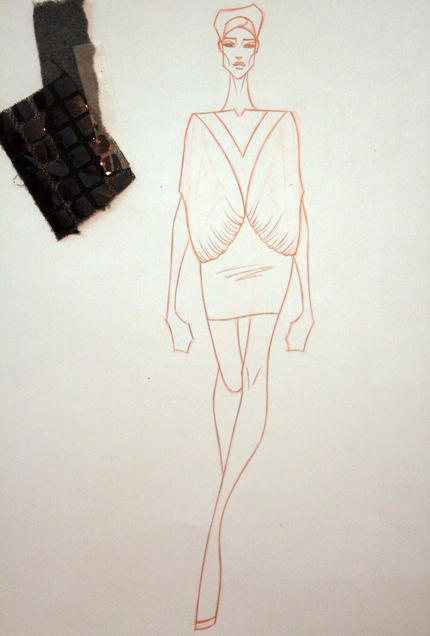 At Herve Leger the associate designers would draft patterns sometimes, or work with the technical team to communicate what they wanted. During my time there, I worked with the lead designer and helped draft a lot of their garment layouts that get sent to the factories in China, where they do the technical construction and production of their bandage dresses. 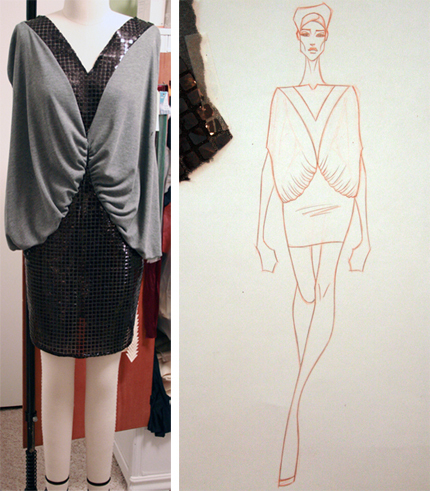 I consulted with Daniel about each of the three designs, asking him specifics about fabric placement, measurements, proportion and finishing techniques. 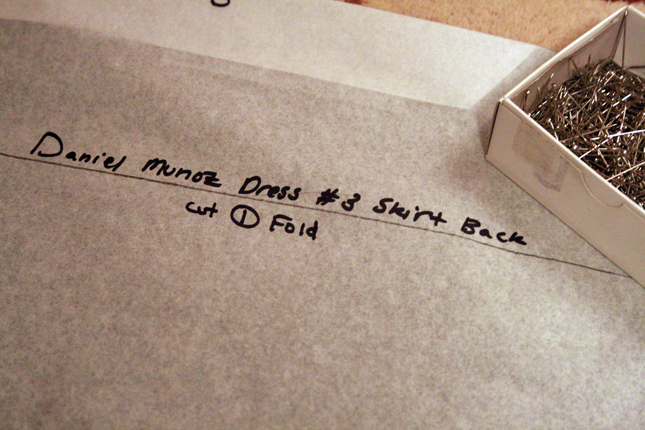 I cut yardage from his fabric supply and headed back to my studio to start the construction process. This was a quick and fun project for me. 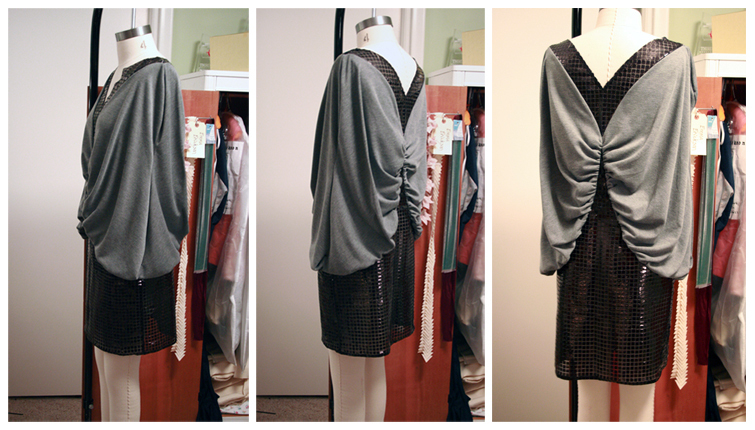 After the initial consultation meeting with Daniel, I had the dresses made and shipped to San Antonio in 5 days! He was off to Texas with his collection which he showed at the Spanish Governor's Palace for Fashion Week San Antonio. I enjoy working on my own projects, but it is really fun to collaborate with other local designers, especially as clients. It is a great way to mix things up a bit and challenge my design skills by doing something completely different from my own style. Are you in need of technical design consultation? A dress for a special occasion? Email me at ericksonemma@hotmail.com. You did a great job! And soooo fast. 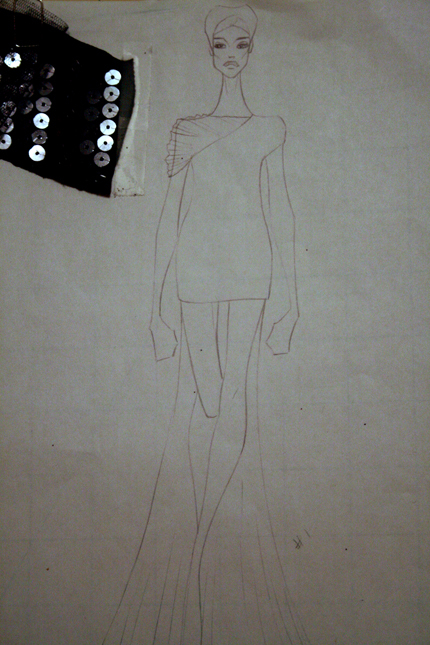 That is almost Project Runway fast ;) hehe. those dresses are awesome, emma! they look really well-made!